The kitchen is one of the messiest parts of the home and for some, keeping a clean, organized kitchen is next to impossible. This goes especially if you love cooking! But let’s be real, cooking is no fun if the kitchen’s a chaotic mess. 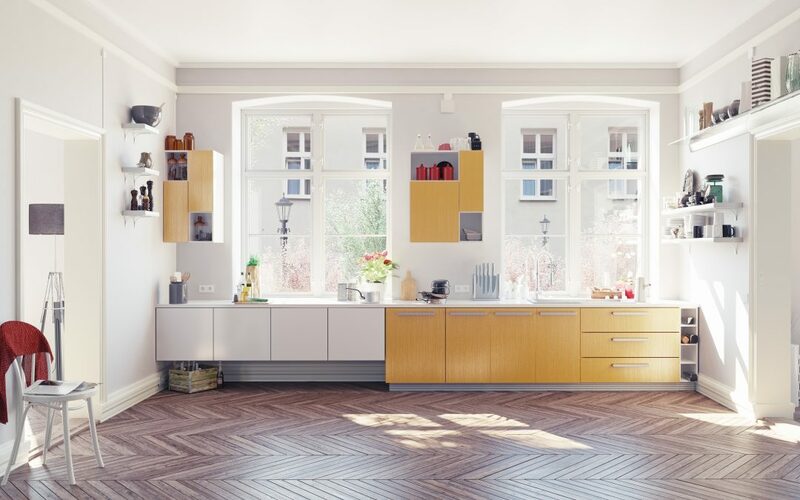 Don’t fret, we’ve got practical small apartment ideas to give your kitchen a much-needed makeover. 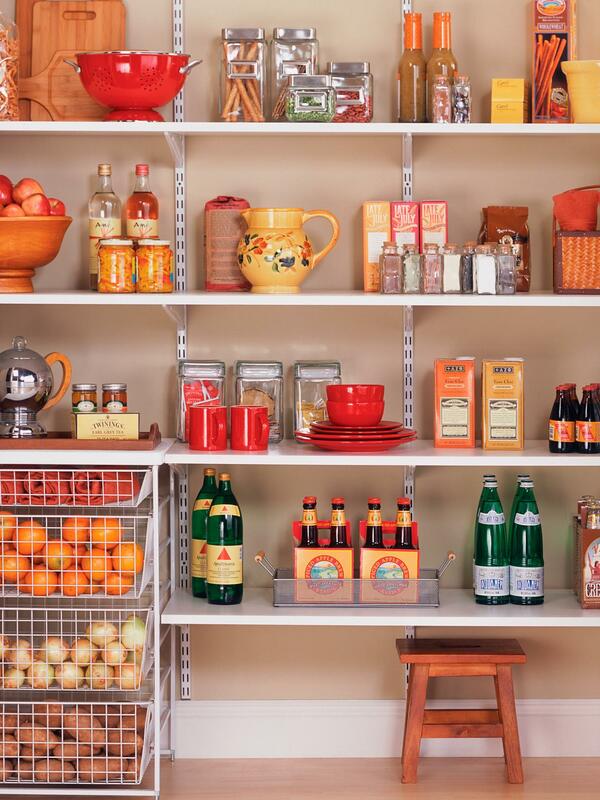 When was the last time you gave your kitchen shelves a thorough cleaning? 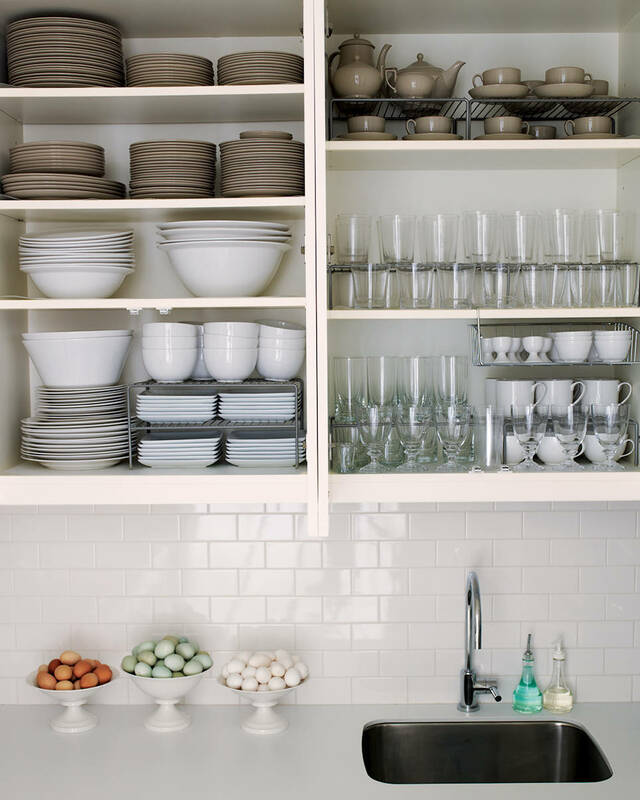 If you cannot remember the last time you cleaned and organized your kitchen shelves, now’s the best time to do it. Start by clearing everything off the kitchen shelves. This shouldn’t take long for small kitchens but for lucky ducks #blessed with larger kitchens, work in sections. Spread all the contents of the kitchen shelves in front of you. Then, give the shelves a good wipe down to get spills, dust, drips off. Vacuum the shelves if a quick wipe down is not enough to clean kitchen messes. Now that your kitchen shelves are clean, it’s time to check which items stay and which ones should go. Do this by checking the expiration dates, you may be unwittingly keeping canned goods that expired months or even years ago! All items that have reached their expiry date has got to go. 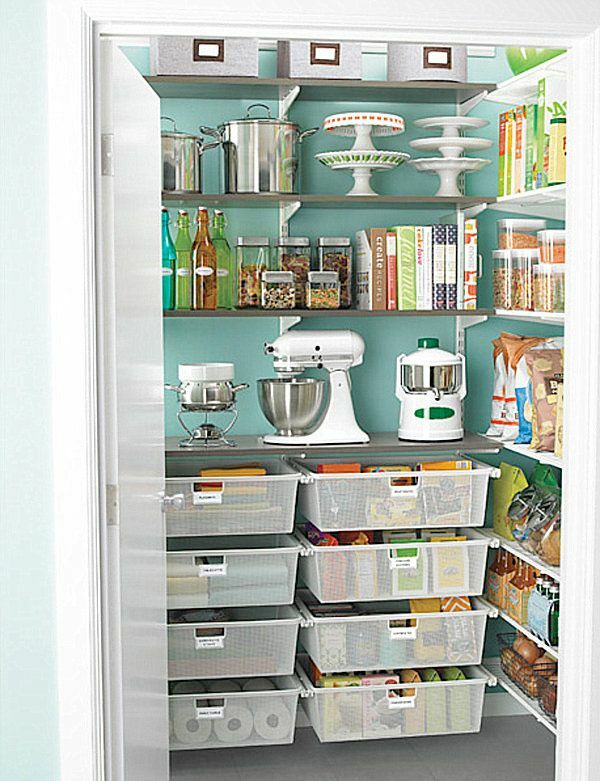 Organizing your pantry will give you an idea which items are essentials and which ones don’t get a lot of use in your kitchen. 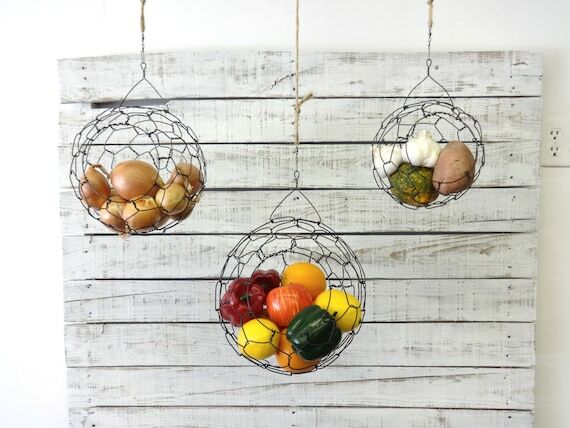 All these small apartment ideas will help you save more the next time you replenish your stash. Start arranging the items into groups. 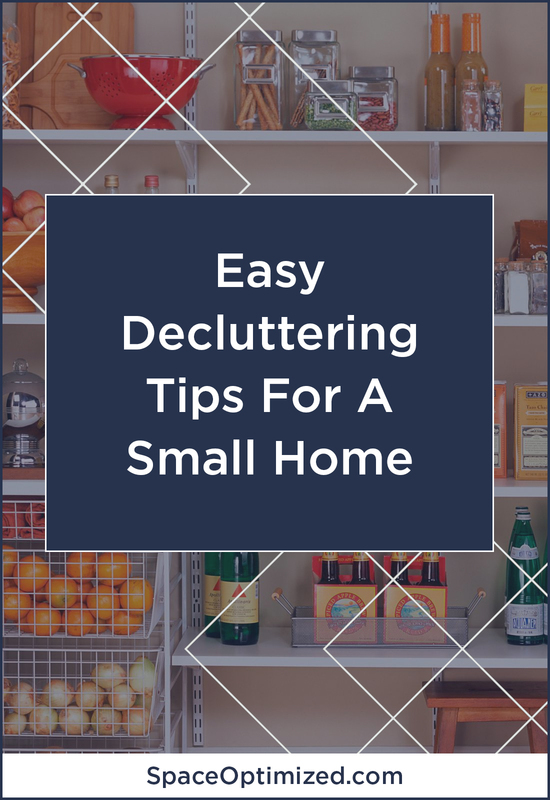 As you arrange your kitchen items by categories, you’ll discover lots of nearly empty cartons of food, stale snacks, forgotten duplicates, and excess kitchen items that you don’t really need. Weed out items that you don’t want or no longer need. There’s no reason to hold onto something that’s only taking space in the kitchen. 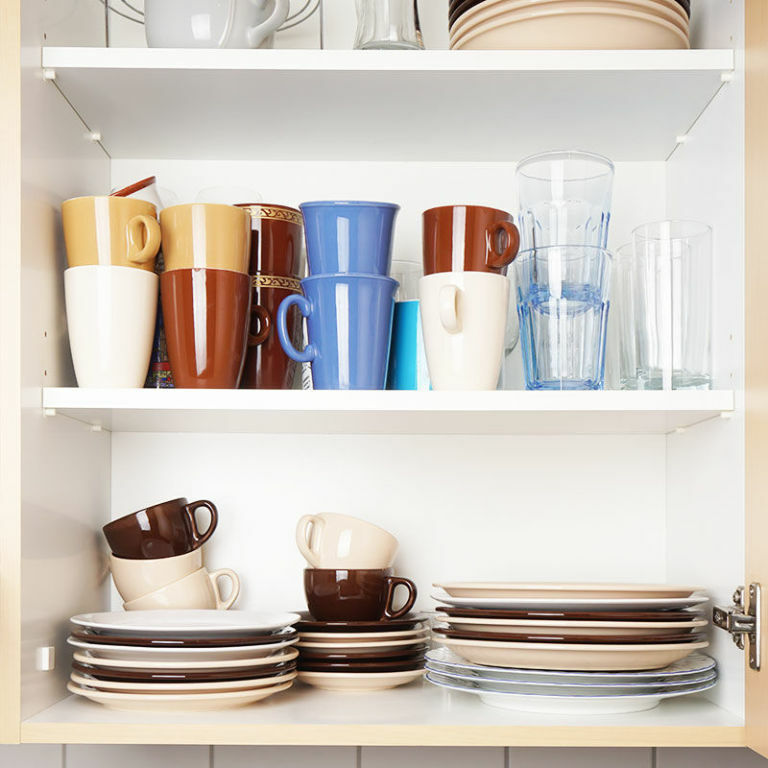 Just so all your kitchen items are organized, you can corral them in baskets or kitchen organizers to save more space. 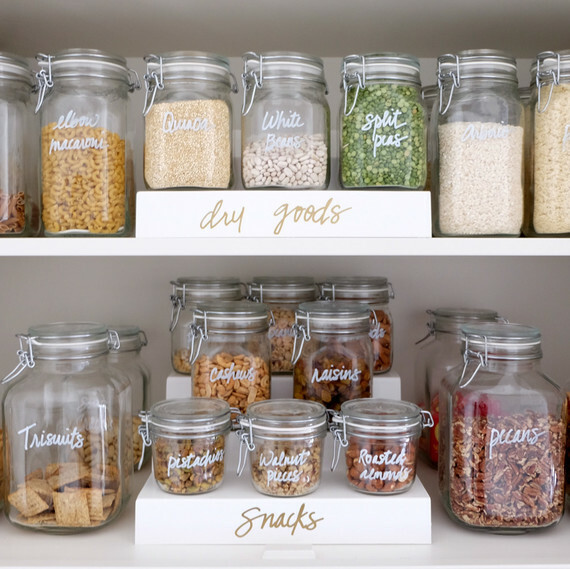 One of our favorite small apartment ideas for the kitchen is to use clear canisters and airtight containers for storing staples. It’s hard to save space when food items come in bulky packaging. Transferring staples in space efficient containers help tidy things up in the kitchen and make more room for your essentials. On top of that, clear canisters do look spectacular in the kitchen. To free up more counter space, try installing hanging organizers. These multi-purpose kitchen organizers can be used to store kitchen tools or fruits and veggies. They’re quite handy for small kitchens! Arrange kitchen items by use. If you use a lot of dried herbs and spices, store them near the stove. 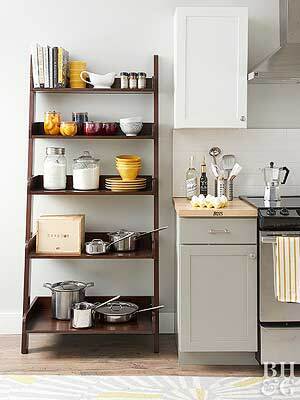 For essential cookware, place them on the lower shelf so they are always within easy reach. 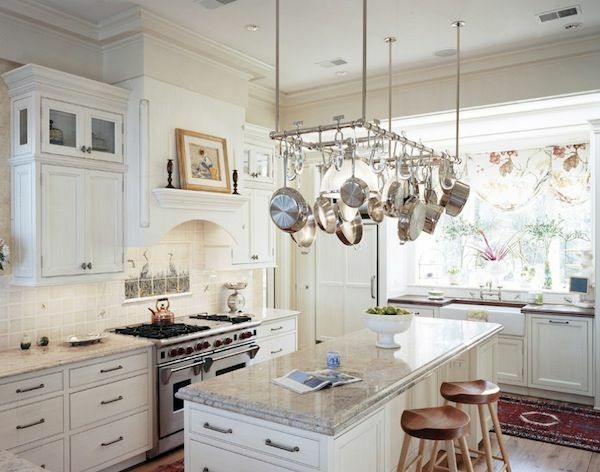 For kitchenware than you don’t use a lot, it’s best to place them above the kitchen cabinets. Everything that you don’t need should be removed from the kitchen to free up more room for your culinary essentials. For excess items, place them on the front of the shelves so you’ll remember to use them. For non-perishables that are still in great condition, put them all in one box and either store them in the basement or donate them so other people will be able to maximize items you no longer need. The same thing goes for spares. Realistically, you only need a couple of set of dinnerware for daily meals, not endless spares. Stick to the golden rule of decluttering: use only what you need. 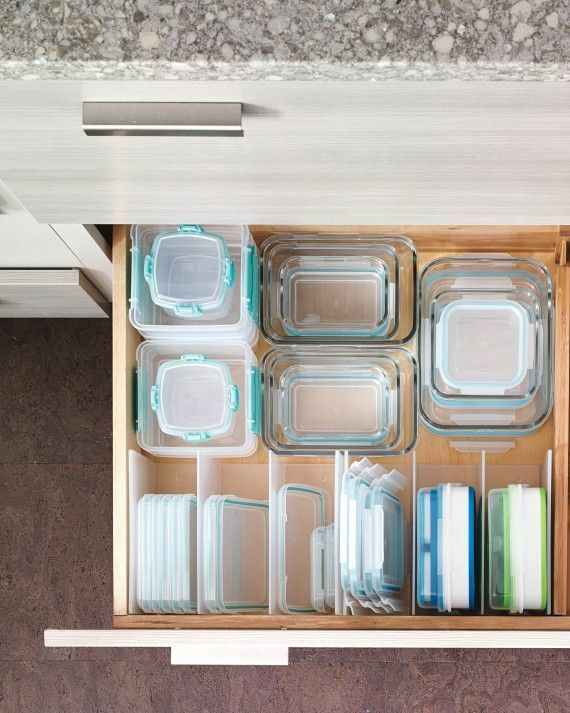 For lids, baking tools, and similar items, use a file plastic container or tension rods to tidy up the drawers and save space. 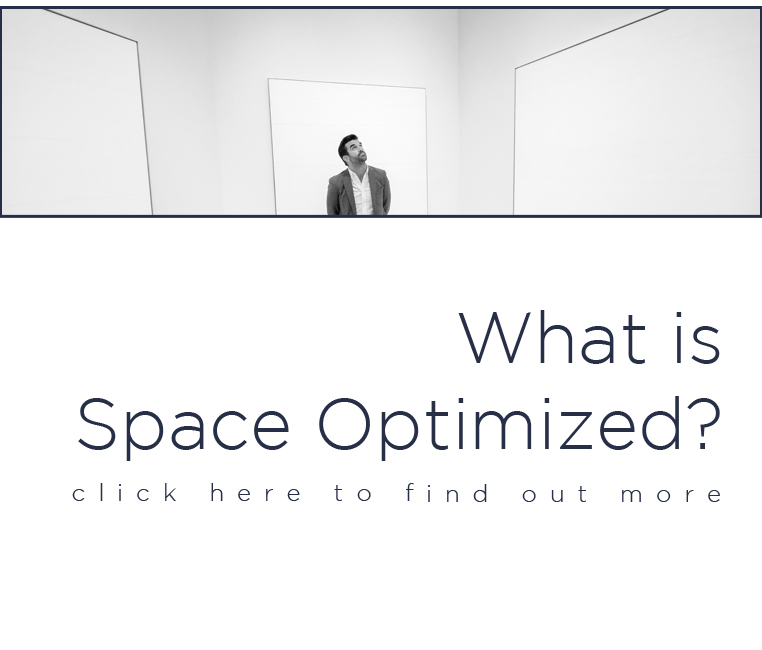 We all aspire to have a pretty and pristine kitchen but the reality is that most of our kitchen surfaces are filled with appliances, pots, pans, etc. There’s barely room for more stuff. When decluttering the kitchen, always go for practicality and functionality. There is no point in keeping a pretty kitchen if it only makes cooking troublesome. 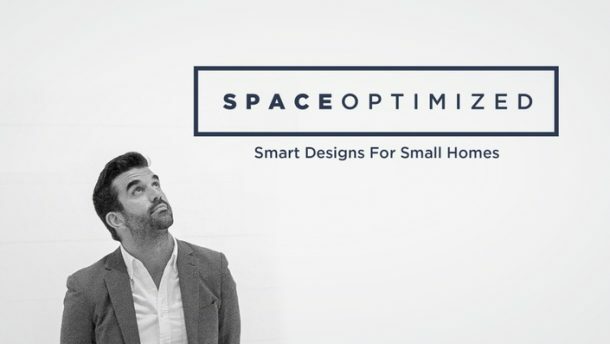 That being said, there’s no need to sacrifice style for practically as long as you know how to make the most out of every square inch of space in the kitchen. Do not litter the place with decorative objects that serve no purpose at all. Fill your kitchen with items that you use the most. Place your daily staples in a specific spot so you don’t rummage through your stash and add to the clutter. Position food where you can see them. 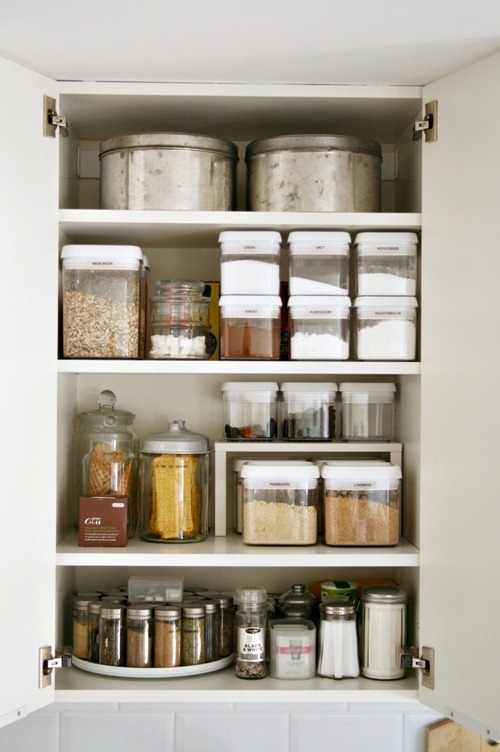 Never cram stuff willy-nilly especially when your kitchen has small cabinets or drawers.